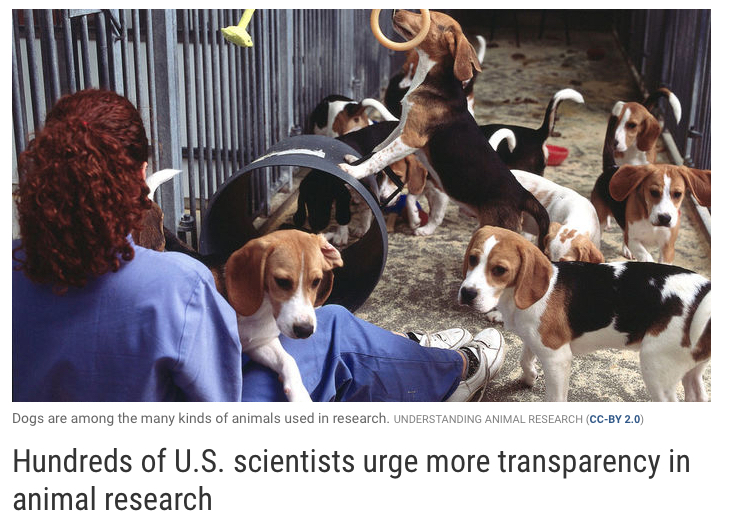 We are pleased to tell you that our letter from America’s scientific community calling for increased openness in animal research continues to receive lots of attention. Here’s a brief update. For those unfamiliar with the effort, Speaking of Research organized an open letter from America’s scientific community advocating for greater openness and communication about the use of animals in health research. The response was more than we had hoped. We originally planned to submit the letter for publication once we had received 200 signatures. However, nearly 600 scientists, veterinarians and other laboratory staff members or students from research organizations signed on, including 4 Nobel Prize winners. We would like to applaud and thank all of those who took part. You surpassed expectations and demonstrated that it is not too late to protect both current and future health research benefitting both humans and animals. However, the open letter is just the start. It was the inaugural action of the Speaking of Research Rapid Response Network, which gives scientists, the research community and its supporters a chance to advocate for and defend research. Click this link to learn more about the network and sign up here. Posted on June 26, 2018 June 29, 2018 by EditorPosted in News, Outreach News, SR in the Media, SR NewsTagged advocacy, SRRRN. Previous Previous post: Research Roundup: HPV vaccine decreases infection rate; new animal model for hepatitis B and more!